The Perfect Black Skinny Jeans I have Ever Owned. 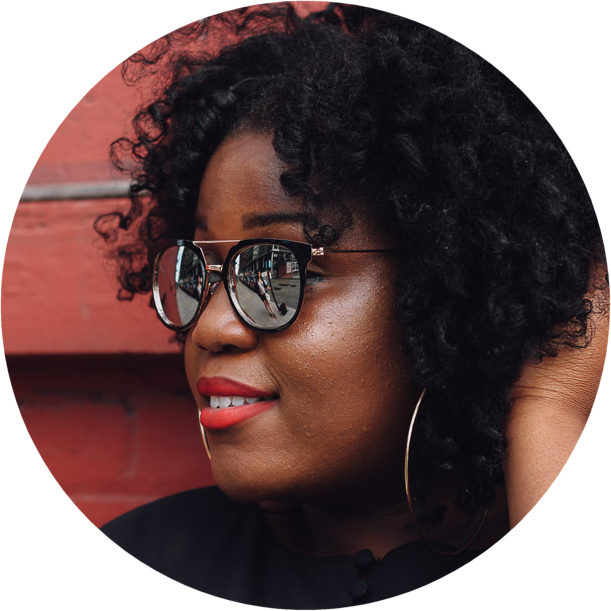 This blog post is sponsored by Charlotte Russe. I am so excited to be partnering up with Charlotte Russe again. Their Fall collection is ABSOLUTELY amazing. I am obsessing over their cardigans, blazers, jackets, and of course their new denim line, everything looks so good, and is on trend. If you know me, you know how much I love Charlotte Russe denim. 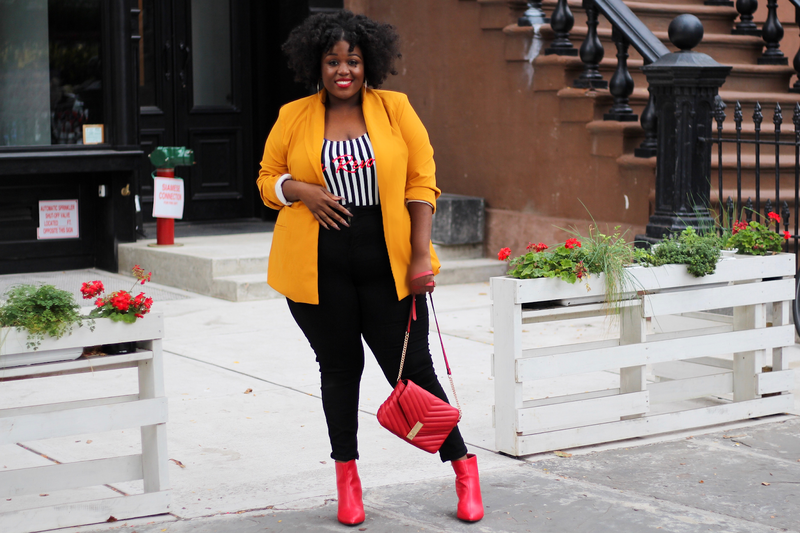 Their denim hands down has the best stretch and is super flattering for all my plus size girls. I love black jeans and these are one of the best jeans I have ever owned. The wash is a true black and it is high waisted, which allows me to tuck my shirts in. These jeans are also skinny, so you can totally wear them dressed up and down. For my denim look. 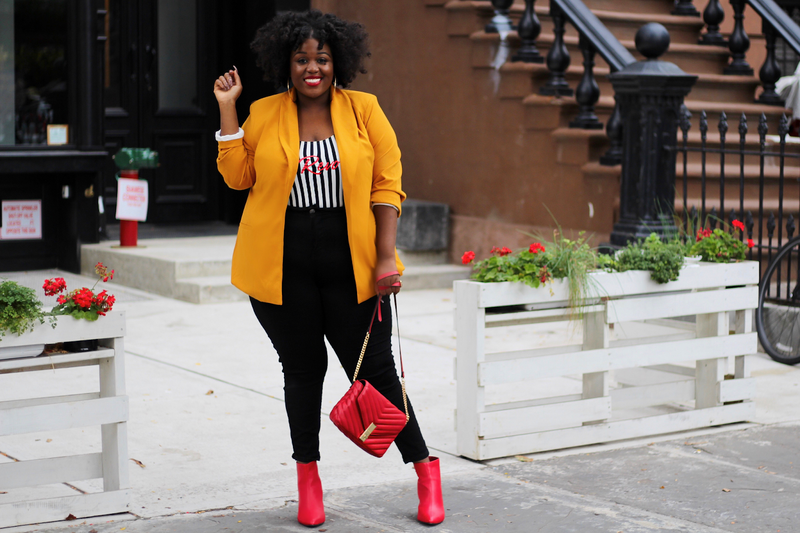 I decided to pair it with this gorgeous yellow blazer and striped body suit. 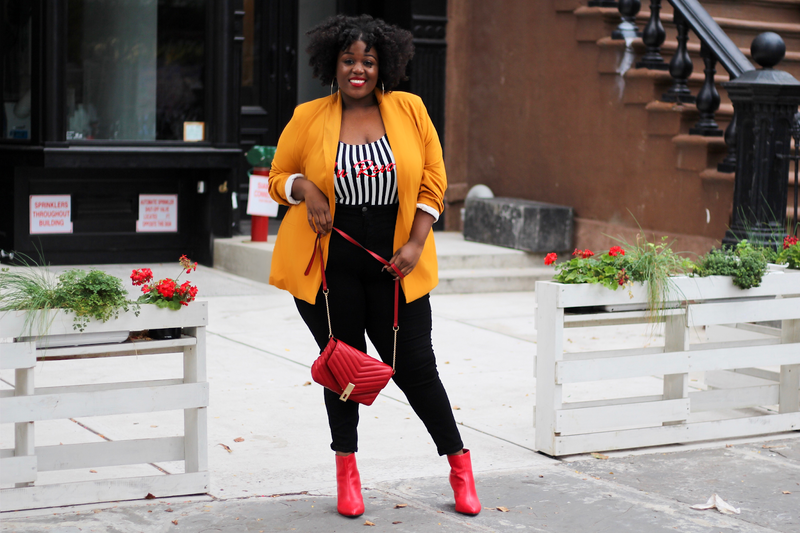 To finish this look I added these red statement booties and paired it with my favorite purse that matched perfectly. Love the look! A good pair of black skinny jeans is must-have for every girl.